oh, sweet joy! : i'm a little teapot killer. r.i.p. 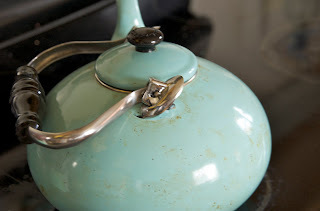 robin's egg blue teapot without a whistle. you were given to me by a dear friend from high school at a bridal shower, but now you must inevitably go into the dumpster. i will miss you. you were very cute and i enjoyed you daily, but you were a quite mediocre teapot. 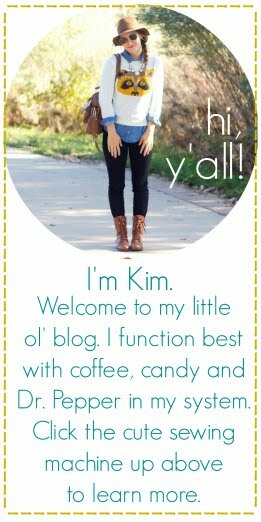 you were by martha stewart, but you did not work that well. you were robin's egg blue, but you did not whistle. which is why you i almost burned the house down. you see, i wanted to make coffee around 10 am. i got distracted and went upstairs to make a dress. this dress. i kept smelling something but i thought it was just my iron that i was using. i walk downstairs around 11:30 to find this. it is burned, browned (which is funny because now it really looks like a robin's egg. ), and the handle busted off because of the heat. all the water evaporated so its kind of cracked, too. 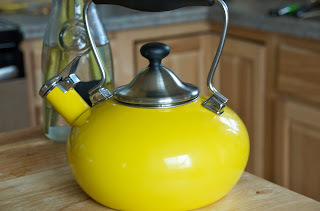 it has been replaced with the equal amount of sunshine, lollipops, and rainbows in the form of a yellow teakettle. mr. yellow teapot, you were really expensive (i just found it for 15 bucks less than what i paid...blast....but i'm supporting local businesses, so whatever) and i spent my birthday money on you, but you had a whistle and you are yellow and happy, so i gladly brought you home. I'm beginning to suspect that this was no accident, not that I am opposed to getting anything Martha "inmate #55170-054" Stewart out of our house. Oh, these teapots are so adorable! The yellow one is fantastic too! Where do you get these finds? I think the blue teapot is the kind you don't put on the stovetop. It's the kind that you fill with the tea infuser and set on the table, that's why it doesn't have a whistle. galit- the blue was from macy's and was from martha stewart collection. the yellow one is a chantal and i found it at a local shop here, but it i found several online. the yellow is perfect for spring. love it. 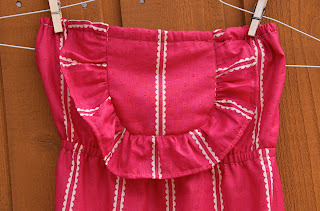 i wish i could whip up a dress like you do. wow. the best part: the subliminal "sunshine, lollipops, and rainbows" link...you better believe i watched the whole video. close second: elf. stinkin hilarious. it definitely did. i am still mourning. oh how sad!! It was so pretty! That's scary about the no whistle thing tho!! yikes. 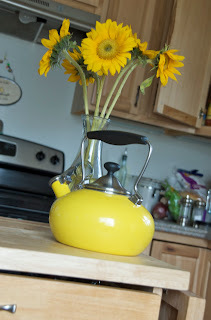 I adore your new sunny yellow tea kettle tho!! 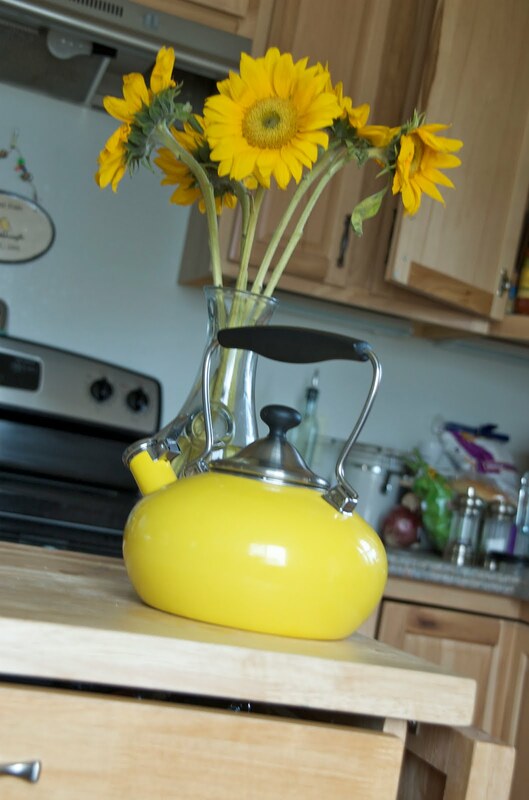 It makes me want to go out and get a new tea pot for my kitchen, a whole collection even! LOL!! P.S. 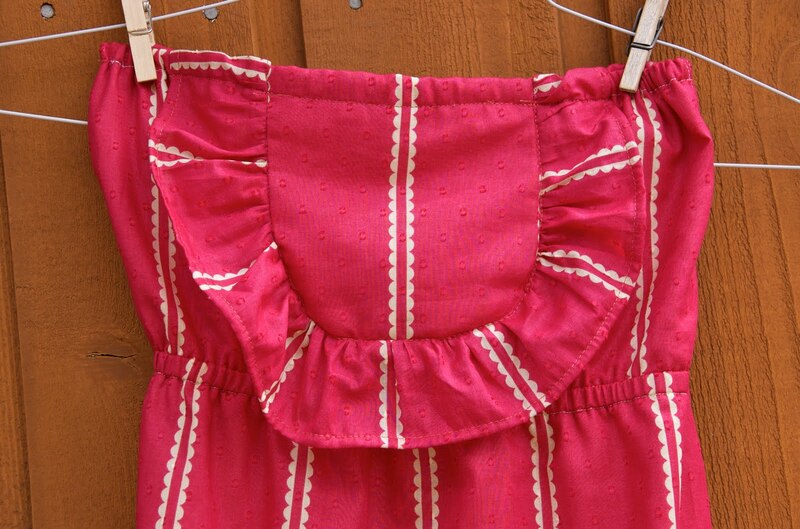 That pink dress is too cute! Where is it from? 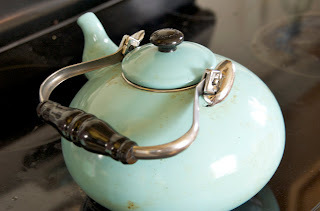 You know, that Martha Stewart teapot was actually recalled...I have the same one and it drives me batty that it doesn't whistle so I'm thinking about returning it.